From terrifying monsters to dainty rockpool-dwellers, squid, octopus and their relatives are truly extraordinary creatures. Ages 8-12. 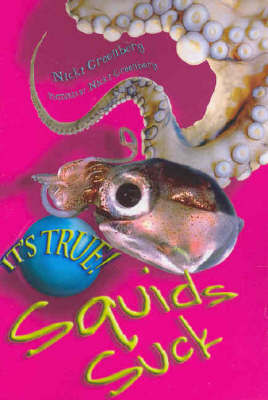 From terrifying monsters to dainty rockpool-dwellers, squid, octopus and their relatives are truley extraordinary creatures. Ages 8-12. How can a young reader not pause to pick up any of the It's True!nonfiction series? They have what must surely be the funkiest, attention-grapping titles on any bookshelf loads of utterly fascinating information and trivia delivered in a most engaging flip style. Great fun yet authoritatively researched Cover to cover, they are simply irresistible. Kevin Steinberger, Magpiesvol 20, No. 3, July 2005.